Picture this: you come home from work on a Tuesday night to find on your kitchen table a high school Athletic Contract. In order for your son to play on the varsity basketball team, both you and your son must sign the contract and abide by its terms. A lot of the information is exactly what you expected: your child must attend class and receive passing grades, attend practice on a regular basis, and represent the school with respect and honor. Another portion of the contract deals with the ever-touchy subject of chemical substances. As expected, your child is not permitted to engage in the use of drugs and/or alcohol, and participation in such drug-related activity sets in motion a series of consequences that could result in the ultimate removal of your child from his respective athletic team. You begin to wonder, "If my son is suspected of participating in this type of activity, can the school force him to take a drug test?" The questions begin to flood your mind, and you wonder what your child’s rights are as it pertains to this matter. 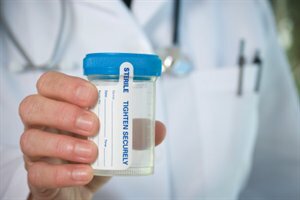 In this article, we’ll explore the issue of whether a school can subject students to drug testing. We’ll explore this popular topic within the confines of the Fourth Amendment to the U.S. Constitution, and we’ll outline the tests that apply under these circumstances. Next, we’ll explore the Fourth Amendment.